Taking care of an orchid plant is sometimes thought of as difficult. Some may feel that they can not grow these flowers in their home. This is a common misconception as they are very easy to grow. The orchid plant is one that does require some special care at home. Without it, the blooms may fade, or may refuse to reappear on plants. This makes it important to pay close attention to plant conditions. Special care does not mean that this plant is harder to care for. It simply means that a few key things must always be looked after. These things include soil moisture, as well as available humidity. By monitoring these things, it is possible to grow orchids easily. With experience, it is possible to grow them in an office at work. This creates an opportunity to get much needed color while at work. One of the most important tips for orchid care is to watch the light. Too much or too little sunlight can cause the plant to wither or die. The lighting should also be adjusted depending on the growing cycle. During peak growing cycle, diffused sunlight is crucial to growth. Indoors, this typically means an east facing window when possible. This will provide ample light while protecting plants from the sun. Direct sunlight should never be allowed to touch leaves or petals. Too much direct sun can cause petals to wilt or brown and fall off. The leaves may likewise scorch or begin to die after too much sun. Good moisture is another one of the top orchid plant care tips. This includes both soil moisture as well as the humidity for plants. These factors can be controlled through one of several methods. To control humidity, a small pebble tray is typically added to pots. This tray is placed underneath the pot and filled with small pebbles. Water is then added to the halfway point to create more humidity. Whenever the water levels look low, more water should be added. This water is in addition to the necessary watering the orchids need. A light misting from a sprayer is often sufficient for moist soil. After giving the orchids sun and water, they will begin to grow. 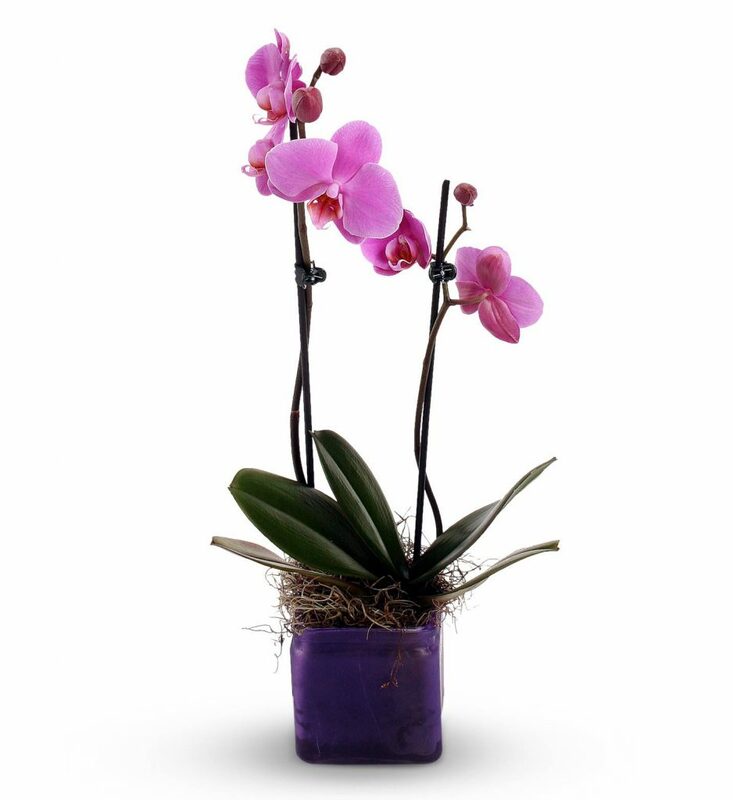 Many may come with blooms already in place, such as the phalaenopsis. This common blooming houseplant is typically sold already blooming. To keep blooms flourishing, a fertilizer should be added regularly. Special fertilizers have been designed to keep orchids healthy. These should be added about every week when it is flowering. A regular fertilizer schedule will encourage stronger blooming. Caution should be taken to avoid over-fertilizing plants, however. Too much fertilizer can lead to wilting, scorching or rotting. When looking to buy orchid plants online, look for healthy blooms. Our reputable growers provide orchids that are colorful and healthy. This ensures that every gift orchid is delivered in top condition.